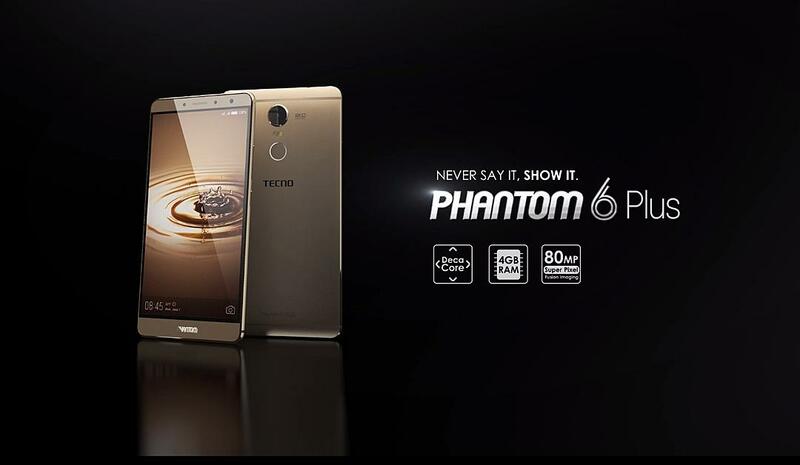 Tecno has been known for making amazing smartphones which has all it takes to make their respective customers happy. They seem to maintain their ground in other not to be knocked out by their various Bitter Rivals. It is a Singular honor we announce to you that Tecno Recently Introduced a smartphone phone Called Tecno Camon 11. 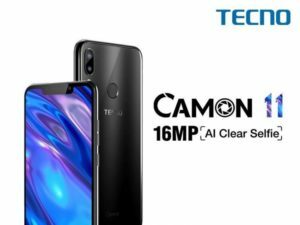 It is a pleasure we make it known to you that Tecno Camon 11 happens to be the latest Tecno smartphone in the Tecno camon series. Please Note have it at the back of your mind that the recent smartphone arrives with a notch display. Also, know it that Tecno Camon 11 arrives with slightly larger specs than the predecessor and it is equivalent to the Camon series. The product information of the Camon 11 was presented by Mr. Ernest Sonkor, the Area Sales Manager. Furthermore, Tecno Camon Comes with a notch display, Just like iPhone X, and it is also coupled with deluxe and impressive features, such as 19:9 aspect ratio, that makes the bezels surrounding the screen display, to be smaller and minimal. Furthermore, Tecno Camon 11 Comes with a notch display, Just like iPhone X, and it is also coupled with deluxe and impressive features, such as 19:9 aspect ratio, that makes the bezels surrounding the screen display, to be smaller and minimal. Having said a few things about the introduction, we go down to the specs of this device below. All you need to do is to stay calm, go through this article in other to know the phone better. Tecno Camon 11 is an Android-powered Smartphone, which arrives with eye-catching design at the front and back. Also, the newly launched device arrives with a trapezoid notch display at the upfront, which holds the selfie snapper, receiver, and the Ambient light sensor. Tecno Camon 11 comes with a smaller, and minimal bezels at the top and bottom, coupled with the 19:9 aspect ratio. It also goes on to boasts of 87.5% screen-to-body ratio. 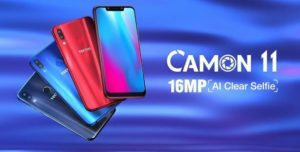 Tecno Camon 11 happens to pack more specs just like Tecno Camon i2 and Camon i2x combined, Which has 6.2-inch Super FullView IPS LCD capacitive touchscreen, with 720 x 1520 pixels respectively. One thing I like about this smartphone is that it is portable, durable and Smart in other to play high-intensive games, it is also perfect for watching videos, and music. Having gone through the phone, we came to realize that it has a chin at the bottom, which is, fortunately, smaller and thinner. Going to the back, the smartphone is been blessed with a premium Polycarbonate design and sumptuous example of how the game should be played. It is shiny, impeccable, spotless and changes its color due to the reflection of the Sunlight. 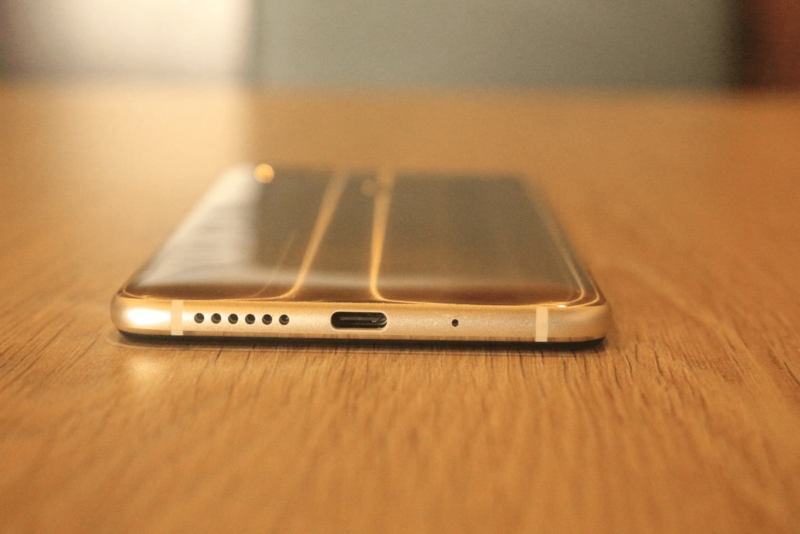 The fingerprint sensor is not excluded, It is been situated at the back of this amazing device. know it that it is the best biometric sensor feature, which radically enhances the security of your Smartphone. Tecno Camon 11 comes with AI-features, making it the company’s latest device to arrive with that. It went on to supports the self-portrait mode, Which simply gives you the access to take a selfie shot and the remaining background details will be blurred. “The CAMON 11 and 11 pro utilizes improved AI technology for selfie photography in addition to many more AI-powered operational features. 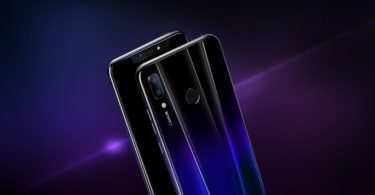 Together with the super Notch Screen and upgraded multi-tasking software, CAMON 11 and CAMON 11 PRO offer consumers a better user experience”. Mr. Ernest Sonkor said. It is important we make it known to you all that the notch at the upfront, holds a single powerful selfie snapper lens, It also packs 16-megapixels with an LED flash which is been enhanced with AI-features, that simply allows the phone to take promising pictures and amazing shots. Other cameras features, includes AI Bokeh effects, AI HDR. Coming to the back side of the camera, have it at the back of your mind that it has a vertically dual camera setup, which consists of 13-megapixels + 2-megapixels with Quad-LED flash for low light photography. It also supports Night Portrait mode with AR emoji, coupled with AI Automatic Scene Detection. Tecno Camon 11 has super cool connectivity options such as 4G LTE, for fast internet connection, WiFi, WiFi hotspot, WiFi direct, Bluetooth v4.2, 3.5mm audio jack, USB support respectively. I will advise you go for this smartphone because it offers a huge sum of features. 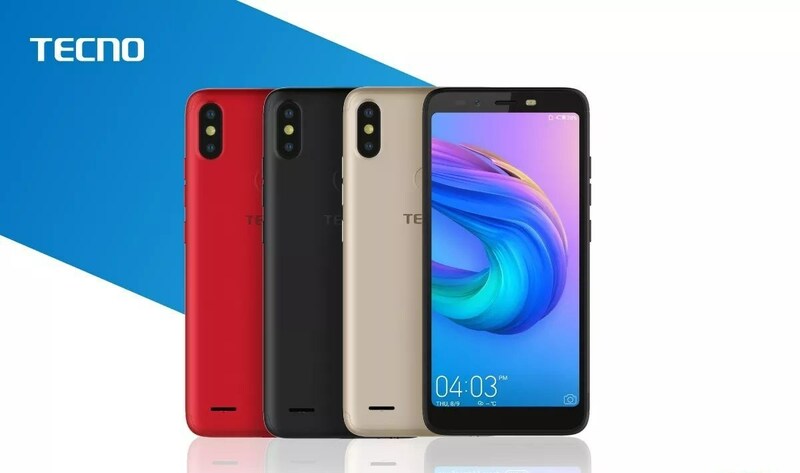 The newly launched smartphone Tecno Camon 11 is Been powered by a MediaTek MT6761 clocked at 2.0Ghz Quad-core processor, which also provides smart battery optimization. Know it that it arrives with ARM Mali-G71 MP2 GPU for the graphics processor, which will enhance the intensive game graphically, and bring in a more preferable gaming experience. Hence have it at the back of your mind that Tecno Camon 11 comes with two different types which are 3GB RAM and 4GB RAM options. The RAM of both smartphones is capable of handling a smooth multitasking experience, smart switching of apps. More especially it runs on latest Tecno HiOS skin version 3.3 on top. Talking about Memory, the smartphone is also made available in two variants, 32GB / 64GB of inbuilt storage, which can also be expanded up to 256GB via micro SD card. You can store huge files such as games, applications, music, movies/videos, documents annotations etc. Tecno has been known for their amazing battery capacity. Tecno Camon 11 is been powered by a monster battery capacity of 3750mAh, which support fast charging technology -MediaTek Pump Express. Bear it in mind that is has a single charge, which the company claims it will last up to a day. 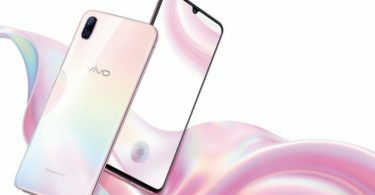 Tecno Camon 11 runs Android 8.1 Oreo out of the box with the company’s HiOS 4.1 skin version on top. It is a pleasure we make it known to you that Tecno Camon 11 is now made available in different countries. Good news to all it may concern, it will get on sales on our online stores starting from 24th of November 2018. The Smartphone was launched on Saturday 17th November 2018 at the Swiss Alisa Hotel and it has been official in Nigeria on 19th of November. 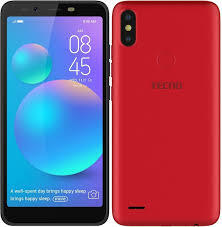 Below is the price of tecno camon 11.